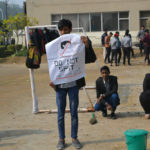 On 23rd January 2019 the “Prakriti Club” at Asian School Business organized a club activity in the campus for students of BBA and BCA. This initiative was undertaken to promote environment related awareness and to stimulate the sense of responsibility of citizens in creating a healthy environment. To mark the occasion a plantation drive was organized for the students and the faculty in the college premises. The Faculty members and students participated in the plantation drive with great enthusiasm. The BBA 1st year students participated in the pot decoration competition, wherein, they made beautiful artifacts from trash. 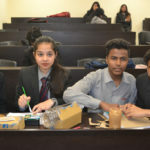 The next set of activities was poster making on “Global Warming” by the BBA 2nd and 3rd year students. 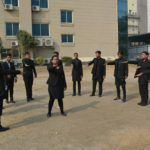 The BCA students performed nukkad nattak on “Swach Bharat” which added to the momentum by instilling a feeling of social responsibility in the students. The day was celebrated with great fervor and helped to motivate everyone in contributing towards the protection of the environment.